Blooming sun at Andheri, Mumbai. Gulls basking in the Golden lights of a beautiful morning at Apollo Bunder near Gateway of India. Xenophobia? Whats that?! 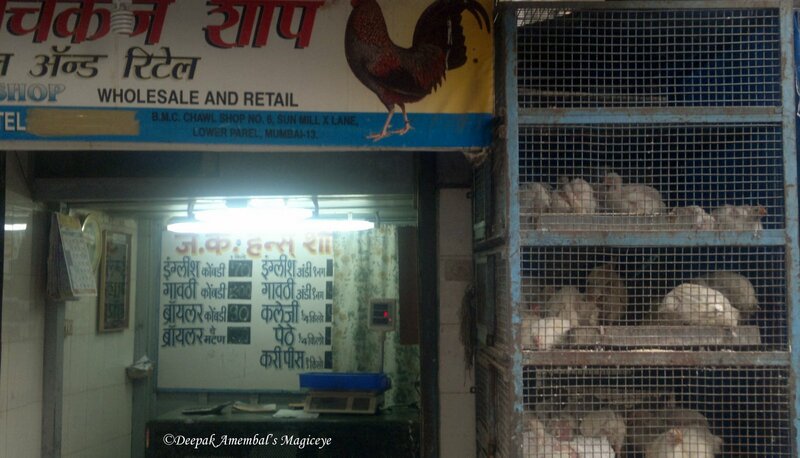 Pigeons - colour no bar - roosting together opposite GPO (General Post Office) in Mumbai. New Empire - Another old single screen cinema surviving in South Mumbai. The Empire Theatre was designed in a Baroque style by architect Arthur Payne, with internal decorations by the local firm O'Connor & Gerald. It opened as a live theatre on 21st February 1908. Seating was provided for 1,000, in orchestra stalls, circle & gallery levels, and there were also boxes with additional seating. It had a large fully equipped stage. There was a domed ceiling, and it was said to be the first theatre in Asia to be constructed with a cantilevered balcony. Films were being screened from 1920, alternating with live shows, and by the 1930's, it was converted into a full time cinema. It was re-named New Empire Cinema in 1937. It was re-modeled in 1948 by British architect M.A. Riddley Abbott, who gave it the splendid Art Deco style seen today. The New Empire Cinema was taken over by 20th Century Fox Corp. in 1955 and was the Bombay showcase cinema for their films. Renovation was carried out in 1996, and the cinema was returned to its former glory, with the interior being one of the finest Art Deco style interiors in Mumbai. The New Empire Cinema screens first run Western films, dubbed into Hindi, and East Indian films. The make the single screen viable, three or four different films are screened each day. Reflections in a cafe in South Mumbai. A bird (stonechat) in the bush in Nerul, Navi Mumbai. 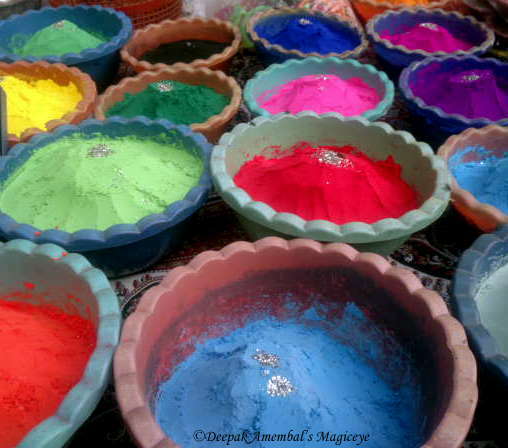 Pick your circle of colour! All on sale kerbside at Lower Parel, Mumbai. 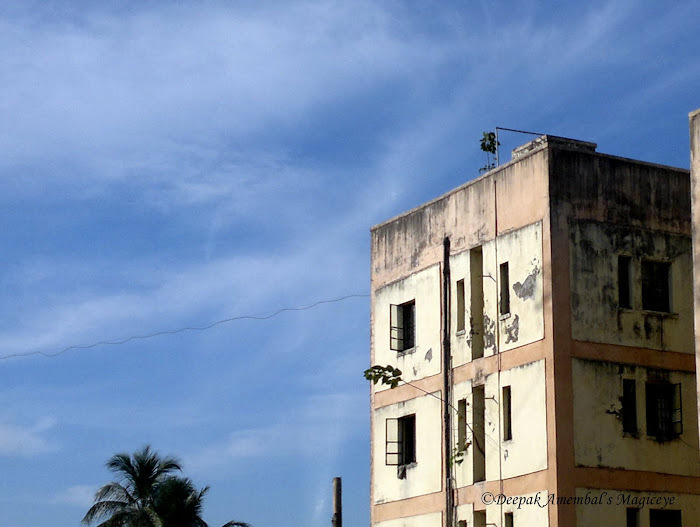 The Blue morning sky at Sahar, Mumbai. Check out a branch coming out of the building window! 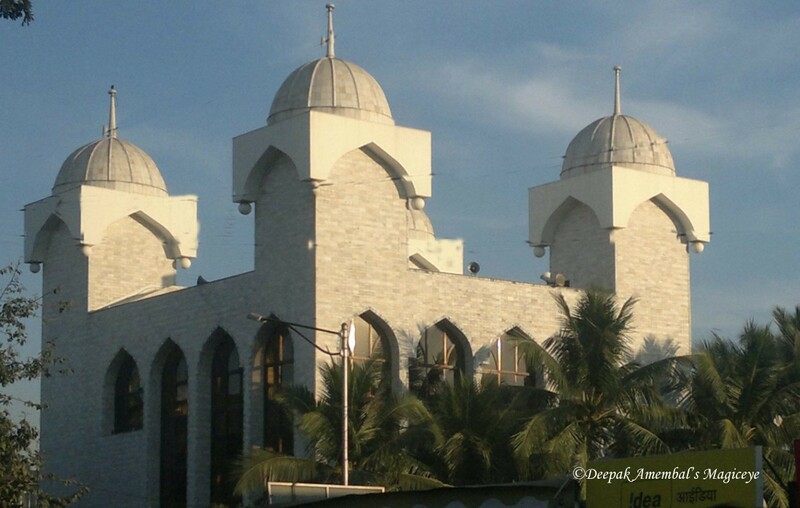 A very popular landmark in the Western suburbs of Mumbai. 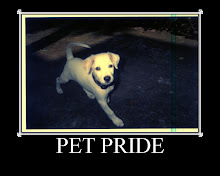 Clicked with Nokia N8. Regal - Another iconic single screen cinema in South Mumbai behind which is the famous Gateway of India. Designed by Charles Stevens, the son of the the famous 19th century architect, F. W. Stevens, the Regal Cinema was opened in 1933. It was the first of Bombay's Art Deco cinemas. Executed completely in reinforced cement concrete (RCC), Regal Cinema was fully air conditioned, and had an underground parking lot for patrons. There was a lift up from the parking lot, a major innovation at that time. The interiors were designed by a Czech artist, Karl Schara, and featured a lot of mirror work in the lobbies. The main auditorium had a motif of sun rays in pale orange and jade green. Painted storks in flight over Mumbai. All male preserve - the general compartment in the Mumbai Western Railway local. A grey heron taking flight into a grey wintry mumbai sky. 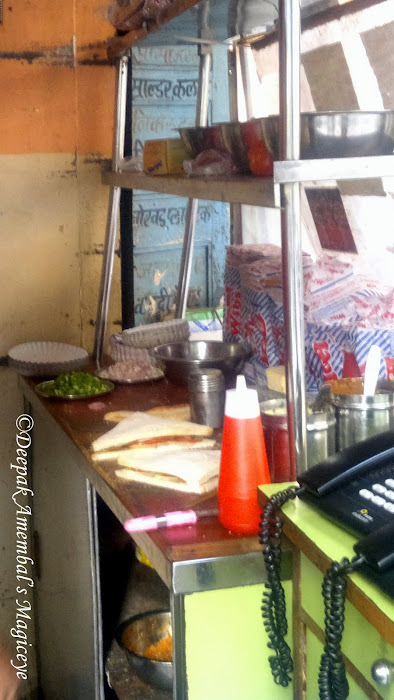 A stall selling sandwiches and savouries in Lower Parel, Mumbai. The Akshaya Patra Foundation is the largest non-profit organisation in the world to implement the school meal programme. Read about The Akshaya Patra foundation here. Click here to feed a child. 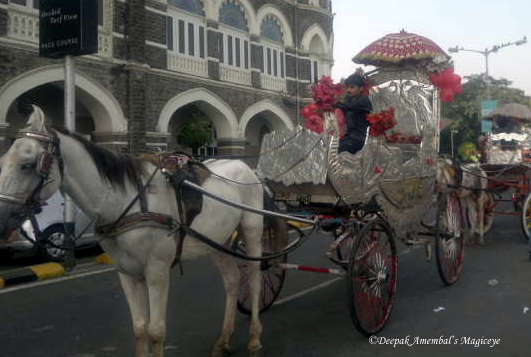 Victoria - the fancy horse carriage that will take you around for a price in South Mumbai outside Gateway of India. Eros an iconic landmark of Mumbai. It is one of the very few theatres that still maintains a single screen. The Eros Cinema opened in February 1938. It was designed by architect Sorabji Keikhushru Bhedwar with internal decorations by Fritz von Dreiberg. Forming a corner apex, the building also contains a ballroom and restaurant, together with apartments and shops and it took over two and a half years to construct. The splendid Art Deco style facade rises in tiers like a wedding cake and is topped by a semi-circular tower. The central section is partially faced in red sandstone from the Agra with the remainder of the building painted light cream. Inside there is a large circular foyer which is finished in black and white marble. The pillars on the walls have decorative Art Deco reliefs of semi-naked female figures. Seating in the auditorium is in stalls and balcony levels. The side walls at stalls level have a large frieze which contains figures in an Art Deco style representing various activities in film-making. The Eros was one of Mumbai's (Bombay) luxury cinemas and remains a popular cinema today. 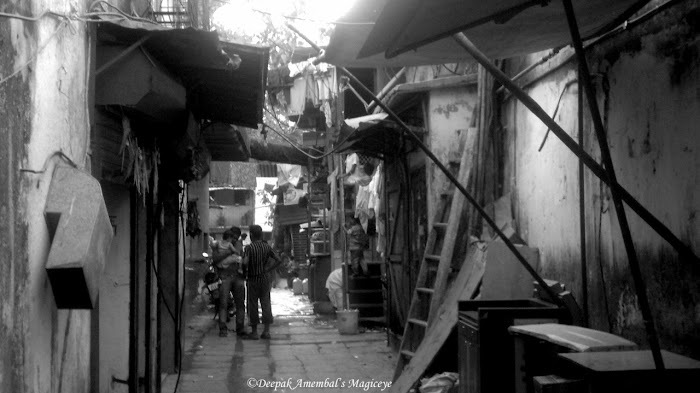 The swamps in Nerul, Navi Mumbai monochromed. Spot the cute bird (shrike) in there! Cattle egret in Nerul, Navi Mumbai. 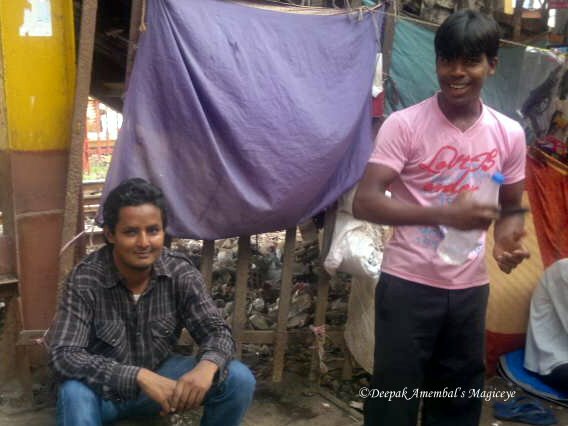 These guys found my clicking pictures on the streets of Mumbai funny! A beautiful bird in a beautiful Mumbai sky. 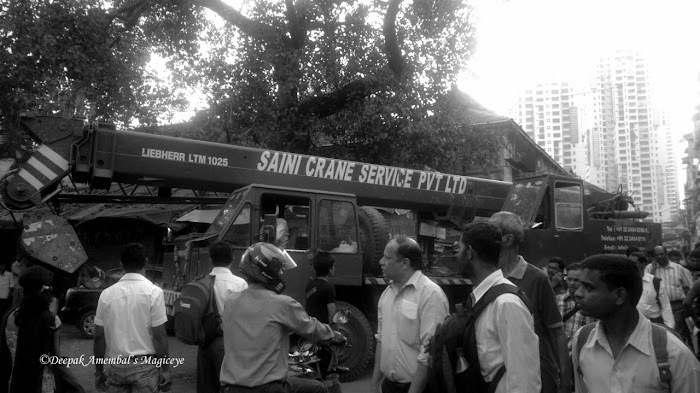 Construction activity in Lower Parel. 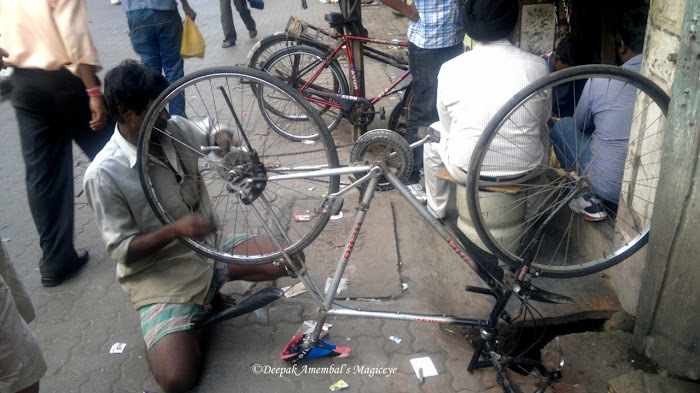 Upside down cycle at the cycle repair shop in Lower Parel. 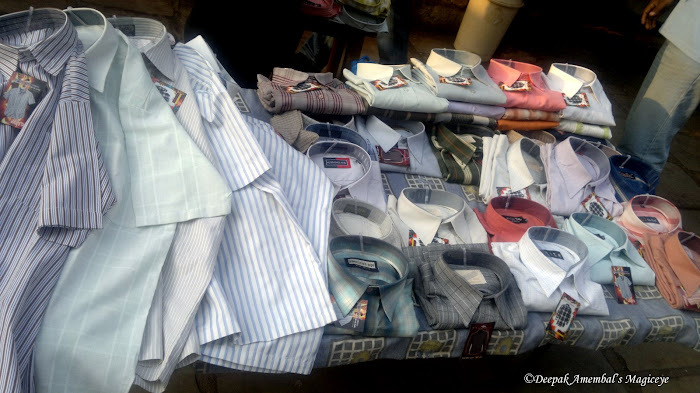 Shirts on sale on the pavement outside Lower Parel Railway Station. 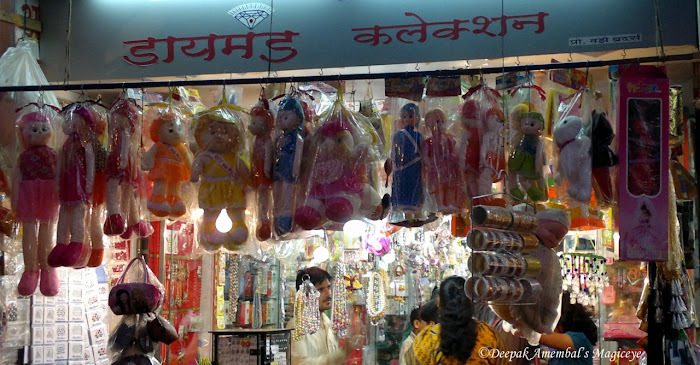 These are factory rejects available at throwaway prices. Crows going rafting in Navi Mumbai! A large egret in Nerul, Navi Mumbai. 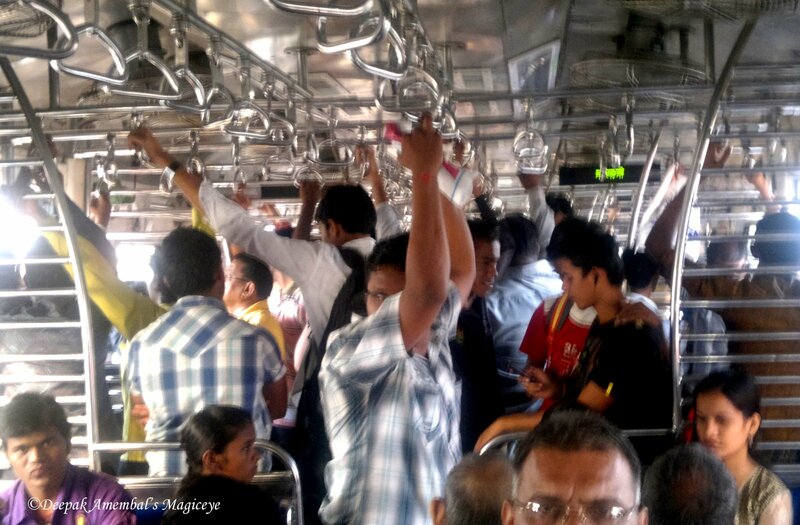 Space - Hard to find in the local train in Mumbai. The Chembur skies of Mumbai. 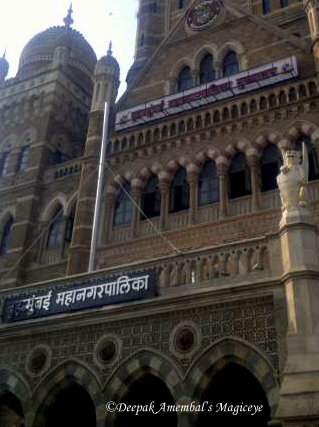 Brihanmumbai Municipal Corporation headquarters built with Brown stone. 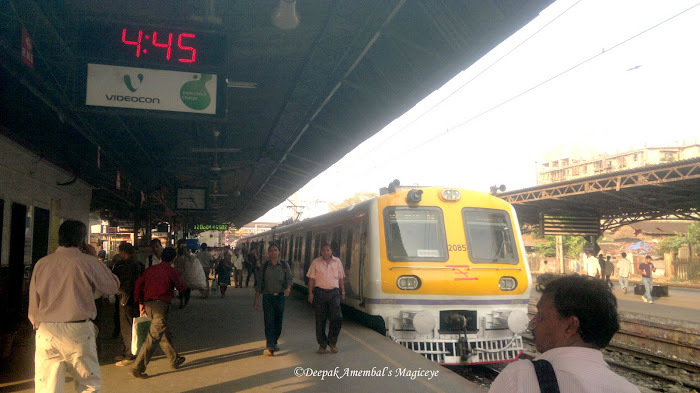 The Time at Lower Parel station on a Saturday evening is 4.45pm as the train departs.